Tortuguero is a place located in the northern Carribean coast of Costa Rica in the Limón Province, so named due to the neighboring National Park Tortuguero. Tortuguero is renowned for its navigable canals that run through the rainforest in the national park, and has such earned the nickname of “Central America’s Amazon”. A lot of marine sea turtles come to the shore of the beach of Tortuguero to dig holes and lay eggs. “Tortuga” is the Spanish word for turtle, this is also a reason for the given name. In Tortuguero you won’t find any cars or other motor vehicles, except of boats, it is only accessible by boat or by plane. Nearly all of the located hotels offer boat transportation. This unique nature feeling makes it very special for most of the visitors. The nature itself and therefore protecting the nature is extremely important at Tortuguero. There are organized canal-tours. These tours are exciting and relaxing as well – you can see many beautiful and amazing animals, while sitting in a boat during such a canal-tour. Normally Spider Monkeys, Aquatic Birds, Toucans, Crocodiles and Caymans, Lizards, Snakes, and other tropical wildlife can be seen. Furthermore you can do a guided night-walk tour through a part of the national park to the beach to see marine sea turtles laying their eggs. 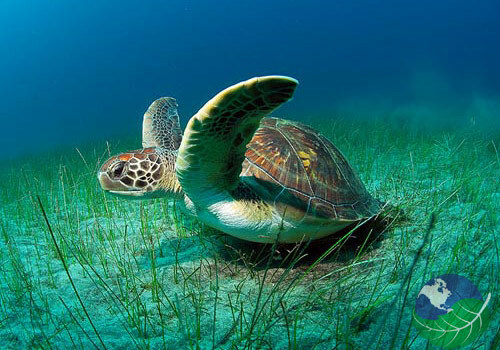 The best time to see these turtles is during the rainy season from August – November. But it’s not always easy to see the turtles. Normally they prefer to lay their eggs during the nighttime and, as mentioned, protecting the nature is an important part, so flashlights are forbidden to guarantee that sea turtles aren’t disturbed. If you are interested in a walk through the national park during day time, you will find the park entrance on the souther end of the town. Normally guides will assist and provide you with information to make things more interesting. The entrance to every national park in Costa Rica is $10 for foreigners, for Ticos it’s normally cheaper. It takes about 45-55 days for the baby turtles to hatch, so between Novemeber and early January it’s the best time to see hatching baby turtles. The baby turtles as well prefer to hatch during nighttime or early in the morning. Most of the local guides ask you not to go to the beach during nighttime (from 6pm – 5am) to protect sea turtles. So get up early in the morning at about 5am and explore the beach see those baby turtles in all their glory and splendor. Local guides are always available for assisting this morning tour. The beaches around Tortuguero are key nesting sites for four species of sea turtle, including two critically endangered species. Furthermore a lot of Barracudas are near the shore in the sea, so therefore the locals ask you not to swim in the ocean. The national park is also host to an incredible biodiversity of insects, resident and migratory birds, and mammals, including jaguar and four species of monkey.